Trunk Mains Valve Assessment Finds Obstruction. 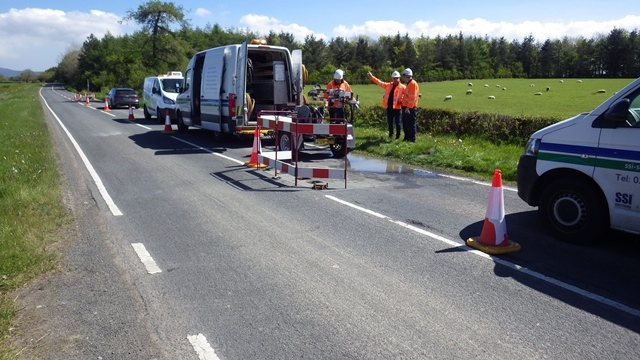 The yield from twin large diameter trunks mains was below the predictive model by a significant amount and causing the water company some concerns. Due to the strategic nature of the pipes along with the questionable condition, ground disturbance was also a concern. However it was a necessary evil to identify the possible obstruction and the only suitable method was to use under pressure camera insertion techniques. During the planning stages, SSI Test Inspect Consult was commissioned to assess the operability and position of all the valves around the area of interest. This survey proved to be invaluable as a large diameter line valve believed to be in the fully open position was found to be actually closed. Therefore the obstruction was found without the need to excavate, perform under pressure tapings or commission the use of an intrusive camera survey. Reduced risk, time and money! !